Late last year, I met Shannon and her parents over coffee to talk about her upcoming fall wedding to Dan. 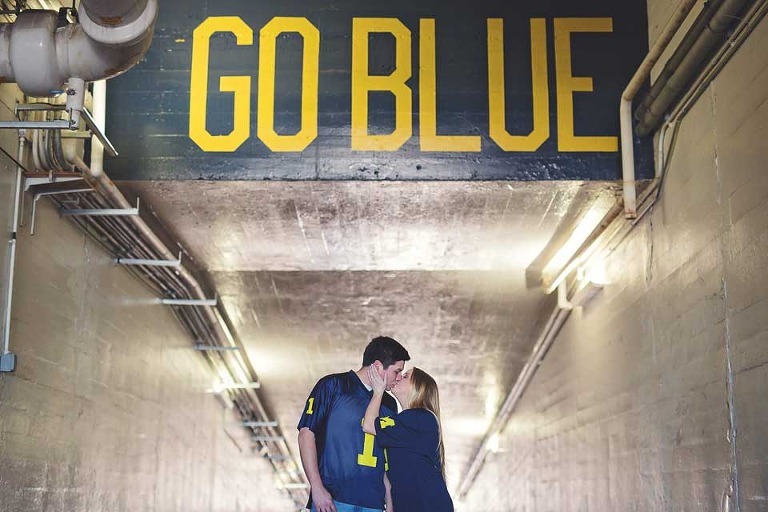 To say this sweet couple (and their families) are UofM fans is an understatement. They truly “bleed blue”! 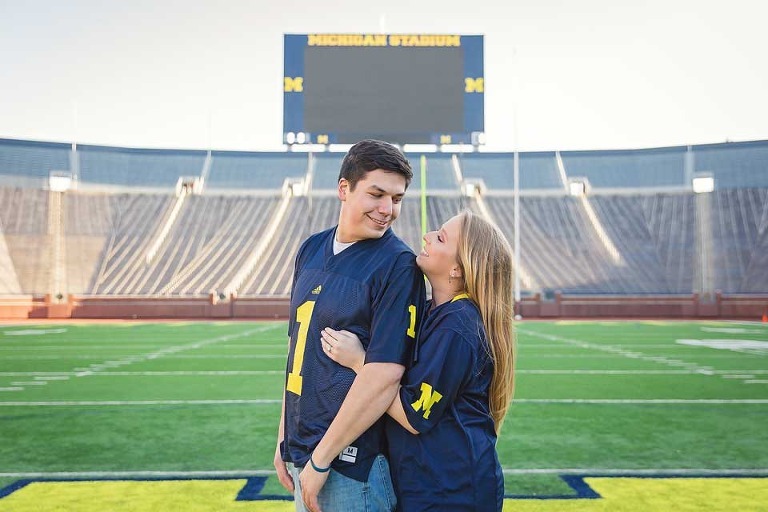 So when I found out not only is their October wedding going to be held at The Big House, but they wanted their engagement session there as well, I wasn’t a bit surprised. 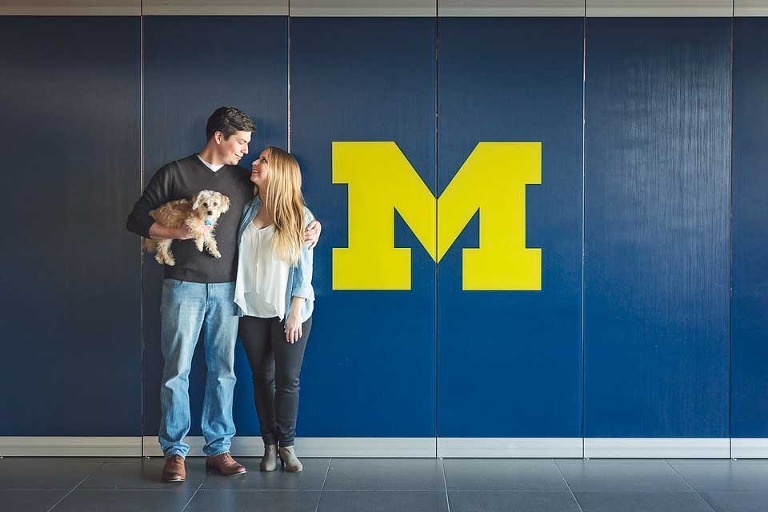 Last month we met at University of Michigan’s football stadium for their session, accompanied by their puppy Blue, who wanted to hop into some pics with his mom and dad. We had an amazing time together exploring the stadium and getting some pretty awesome shots along the way. Thank you to Shannon and Dan for trusting me to capture your love and the beginning of the rest of your life as husband and wife. And, shhhhhh, don’t tell my fellow Spartans, but it was pretty rad shooting on that field. 😉 Can’t wait for your October wedding! Its going to be awesome! 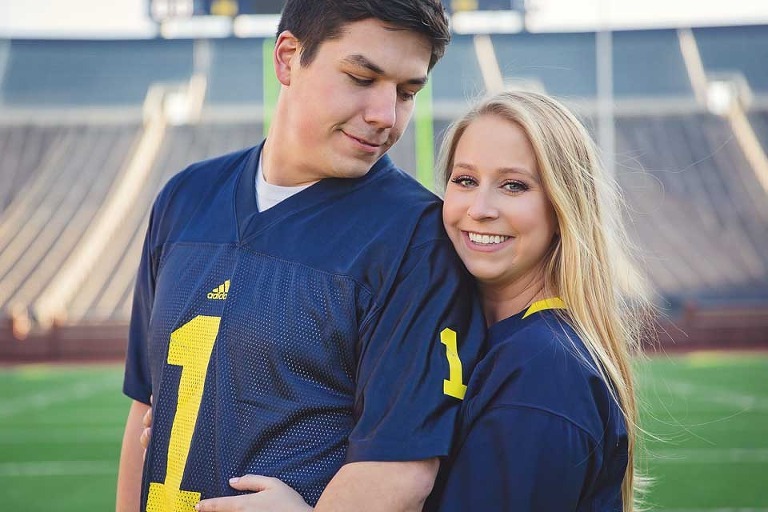 Special thanks to Shannon’s sister Brenna for assisting with Blue and to the University of Michigan for letting us shoot at their beautiful stadium!